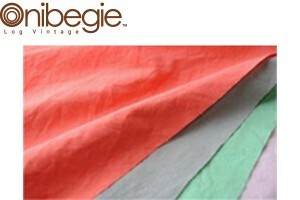 ONIBEGIE is a synthetic fiber material, one of whose components is the outer skin of onions produced in Japan. 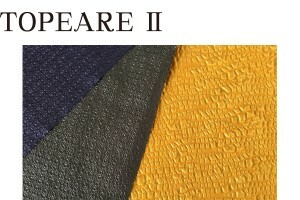 Twenty-two natural components are mixed in various ways to create natural colors and appearances. 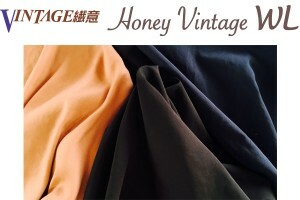 Created with an emphasis on the comfort of the wearer, Honey Vintage is a material with a puffy feeling, which features both a calming texture and a touch of elegance and dressiness. 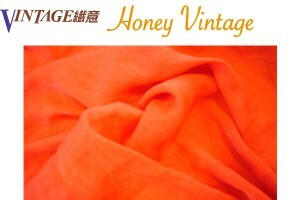 Honey Vintage SS is a spring/summer version of Honey Vintage. 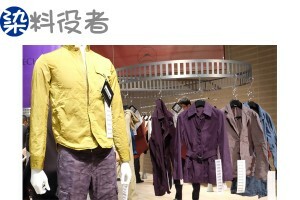 It has a dry feel while retaining an elegant silhouette and puffy feeling. 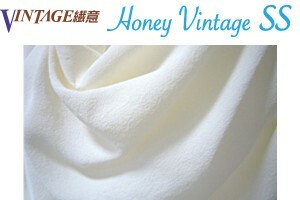 Honey Vintage WL is an autumn/winter version of Honey Vintage. 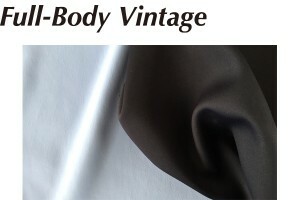 It features a smooth texture like that of baby cashmere in addition to a warm puffy feeling. 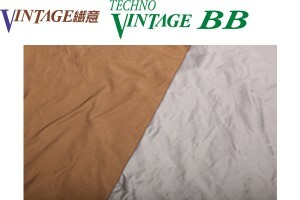 TECHNO VINTAGE BB features a natural surface appearance, fine texture, and shape-retaining properties. TECHNO VINTAGE BJ has a strong ability to retain its shape. It also features tension, elasticity, and a natural surface appearance. 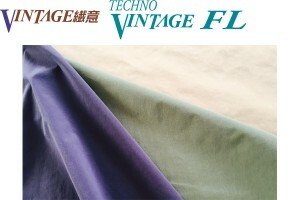 TECHNO VINTAGE FL is an unprecedented nylon material featuring a matte appearance with silk-like shading and a touch of class. Full-Body Vintage is a full, ample, resilient material with a glamorous but compact appearance that makes a substantial impression. Processed to be environmentally friendly with T-400™ Fiber, a PTT composite fiber, as the core material, VIRTUAREX boasts superior elastic recovery. 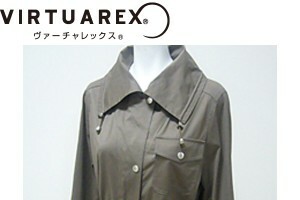 It was developed by Toray Synthetic Textile Cluster. 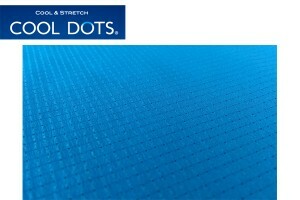 Developed in pursuit of wearer comfort and mobility, COOL DOTS combines superior breathability and stretch enabled by the utilization of VIRTUAREX as described above. Developed using the advanced post-processing technologies of Komatsu Seiren, tre.dry is a new triacetate material that inherits the texture and feel of conventional materials. 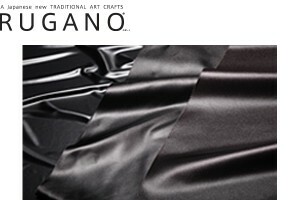 RUGANO is a premium-quality material with a lacquer-like texture, which combines an elegant, deep gloss with flexibility. 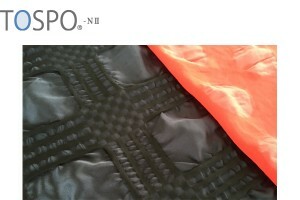 TOSPO is a visually exciting 3D dyed material, which has a uniquely patterned indented surface while retaining the original texture of the cloth. Evolving and combining the processing technologies for TOPSO-N II and 3D dyed TOPEARE, TOPEARE II is a new 3D material featuring a delicate, natural touch and a patterned indented surface. 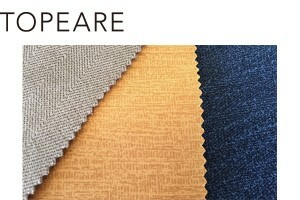 The rich variety of 16.7 million colors and an advanced controlling technology have enabled crisp patterns and images to be printed on this fabric. Our technology enables the front and back surfaces to be dyed simultaneously in different colors without a loss of texture, even with thin, lightweight material. 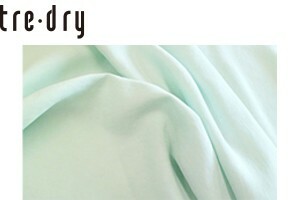 Dyed without water, AirDye is an environmentally conscious material that is kind to people and the earth. Hard enough to stand on its own, KONBU-N features a firm, dry texture that is reminiscent of dried kelp (konbu in Japanese). 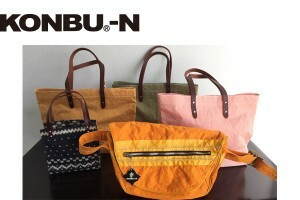 Being highly chromogenic, KONBU-N is an amazing standing fabric that also allows you to enjoy color variations. 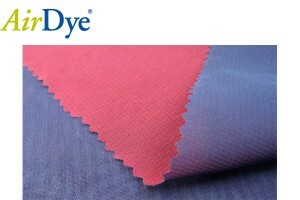 Applying a unique dyeing technology, this new-generation product dyeing technology adds the touch and texture of hand-dyed fabrics to each product.